IDS ServiceGuard™ presents organizations with an effective solution for managing and streamlining their IT services. This offering combines the information technology services offered by IDS Systems and puts them all in a single, customizable package for efficiency and convenience. This a la carte approach gives organizations an opportunity to augment and enhance their existing IT infrastructure, in addition to providing access to always-on support in case of emergency, regular maintenance, and strategic IT recommendations to support your business. Simply put, IDS ServiceGuard™ puts IDS Systems on duty to tackle your organization’s IT challenges. IDS ServiceGuard™ gives your organization access to highly skilled and highly trained IT technicians with the experience needed to make informed recommendations and act appropriately to ensure positive outcomes and results. Following our in-depth consultation process, we work with your existing IT staff and infrastructure to develop a framework for ongoing support. It starts with our consultation process, where our specialists analyze and assess your IT needs in conjunction with your organization’s goals. From there, we make specific recommendations as part of an ongoing month-to-month plan. 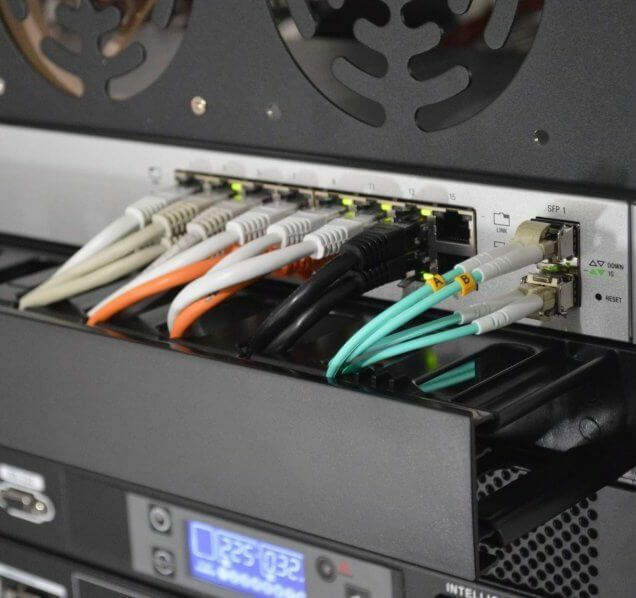 IDS ServiceGuard™ gives your organization a means of quickly and effectively upgrading your current IT infrastructure with ongoing support options. We make recommendations based on your operational needs and goals, and you select the components and service level you require. From there, it’s on us to execute your mandate. Depending on your requirements, your organization will have access to a dedicated IT Manager who acts as your point of contact, handling your IT services with the professionalism and dedication you expect from IDS Systems. This lets your staff and management focus on their primary roles, while we ensure your IT needs are met. What happens in the event of a critical emergency? Once our team spots an issue or you report one, we immediately assess the necessary level of response. On high-priority emergencies and issues, you can expect rapid response times and resolutions, all outlines in your service agreement. Augmenting IDS ServiceGuard™ with IDS Critical Systems Support gives you access to 24×7 service and support for when things go wrong. Simply put, we’ve got your back. IDS Systems provides 24x7x365 support for customers that have subscribed to the IDS DataGuard™ DRaaS solution, a well as those who have subscribed to Critical Systems Support for any other service offering. For these customers, action on Severity 1 and Severity 2 incidents will be provided without additional fee, per the service agreement currently in place. For those customers that have standard support agreements (either managed support or on-demand support) which do not include after hours service, technical assistance is available for Severity 1 and Severity 2 incidents on a pay per incident model around the clock, 365 days of the year. This support is available for a minimum fee of $500 per incident, which includes up to 2 hours of support, after which additional billings will be levied on an hourly basis, using overtime rates as detailed in the support agreement. A credit card will be required to initiate a support incident which will be charged for the minimum fee at the time of the call. Severity 1 incidents are those events that result in a substantial portion of the IT infrastructure being inaccessible or inoperable, causing a direct impact to the business and for which no viable workaround is available. Normally this will impact a larger number of users. Severity 2 incidents are those events that result in a meaningful portion of the IT infrastructure being inaccessible or inoperable, causing a direct impact to the business, but for which an undesirable workaround may be available. Additionally, a Severity 2 incident may impact a single user or small group of users that have an operational requirement for those business systems without a viable workaround, but which still imposes a material impact to the business. can do for your organization. Discover other IT solutions, like Managed Analytics, and IDS Dataguard.